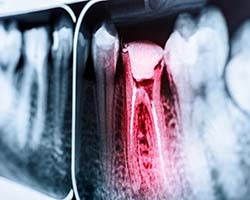 Are You In Dental Pain? Need Care Now? Does something in your mouth hurt? 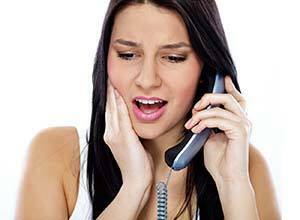 Do you have a toothache that’s become a real problem lately? Was there an accident where your tooth was broken or knocked out? If so, you need to seek out dental care as quickly as possible to relieve your pain and save your smile. When you need dental care right away, you can always rely on Four Town Dental. 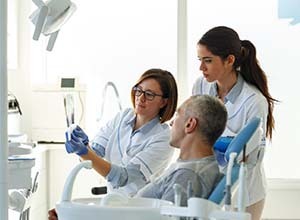 Our team is specially trained to handle a wide variety of dental emergencies, and when you call in, we’ll do whatever we can to see you as soon as possible. Right when you need us the most, you can trust that we’ll be there. Until you can see us, however, there are a few key things you can do to manage your pain and improve your situation. Below, you’ll find a few tips on what you can do after you have called us for help. Try to find your tooth, pick it up ONLY by the crown, and gently rinse it off with warm water. If you can, try to place it back into its original socket. If this isn’t possible, put it in a container of milk. It’s essential that the tooth stay moist until we can see you. If you get to us fast enough, reattachment is very possible! First, gently rinse the affected area with lukewarm water. You can also use a cold compress on your face to control any pain or swelling you might experience. First, try and recover the crown if possible. Then, dry your tooth and use a small dab of toothpaste, some dental wax, or a temporary adhesive to try and reattach the crown. If you can’t find the crown or if it is too damaged to be replaced, place a cotton ball or some dental wax on your natural tooth to protect it until we can see you. In this situation, you should immediately go to your local emergency room first. 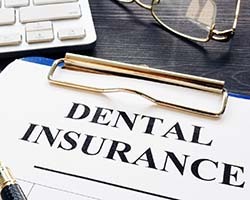 If you happen to have lost/broken any teeth during your accident as well, be sure to call us only after your attending physician has cleared you. Carefully rinse your mouth with warm water, and then gently floss around the tooth to make sure the pain isn’t being caused by any debris. 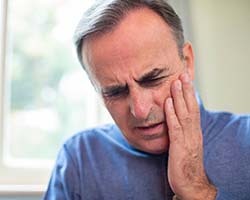 You can use a cold compress or take an over-the-counter-pain medication to provide relief until you can see us, but be sure to NOT place an aspirin directly onto your gums near the tooth, as this can damage them. If you or a loved one find yourselves in any of these situations, please do not hesitate to call us immediately. We’ll walk you through exactly what you need to do, and we’ll do everything we can to quickly turn your emergency into a distant memory.